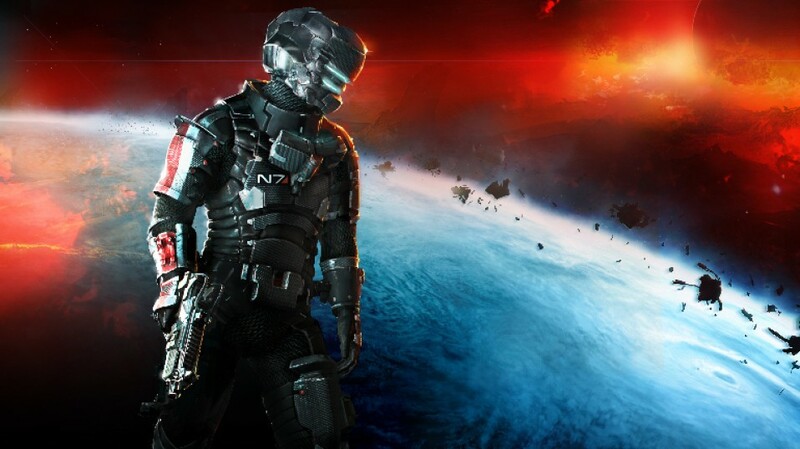 As announced today, for the people who are fans of Mass Effect and Dead Space there will be an awesome in-game bonus. I know I like free candy, so why not? They created a cool looking armor set for both Issac and Craver to dish out more pain. To attain this is all to easy first you must have played Mass Effect 3 and have a save file too. Then buy and play Dead Space 3. Then BAM! You got yourself a shiny new suit of galactic hardware to stomp Necromorph’s in…For those who forgot or didn’t have a early download code for the Dead Space 3 demo. Fear not! The DS 3 demo will be released tomorrow Jan. 22nd and best of all Co-op is included in this new chapter of terror. Which I have played and can’t wait for some real crafting in the full game release on February 5th North America. One Response to Should I Cross Over? Cool. I am looking forward to playing this game. The first two were excellent.